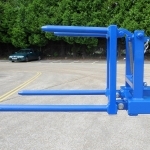 The Grab-O-Matic HDT-1 Hinged Drum Tines can upend a drum from the horizontal to vertical or vice versa for stacking in racks. 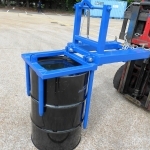 The drum is manipulated by lowering or raising the carriage of the fork truck and is suitable for steel or plastic 205/210 litre drums. The drums can be manipulated from vertical to horizontal. 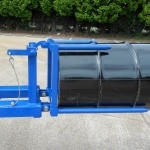 The unit can be used to load or unload drums horizontally into racks. 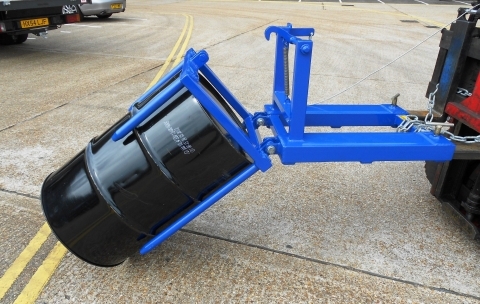 The drums can be manipulated from horizontal to vertical.